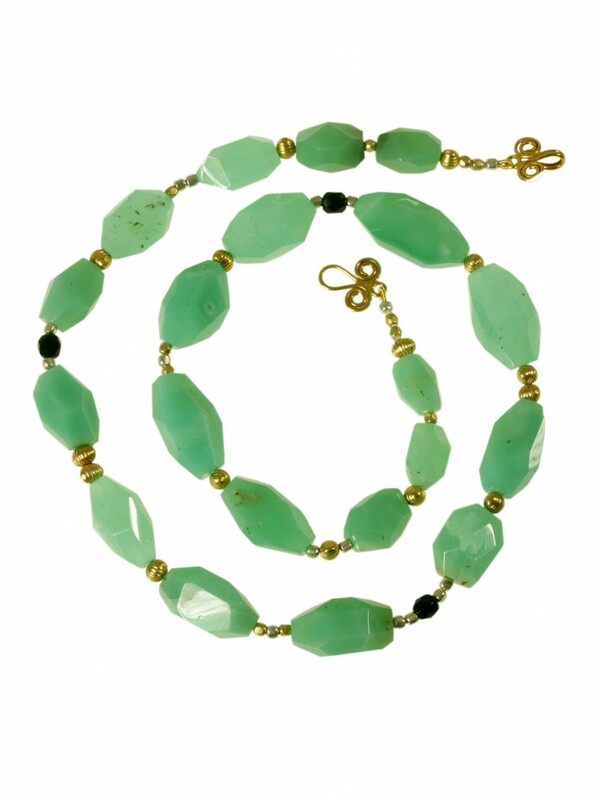 Faceted chrysoprase, obsidian and 18ct yellow gold and silver beads. 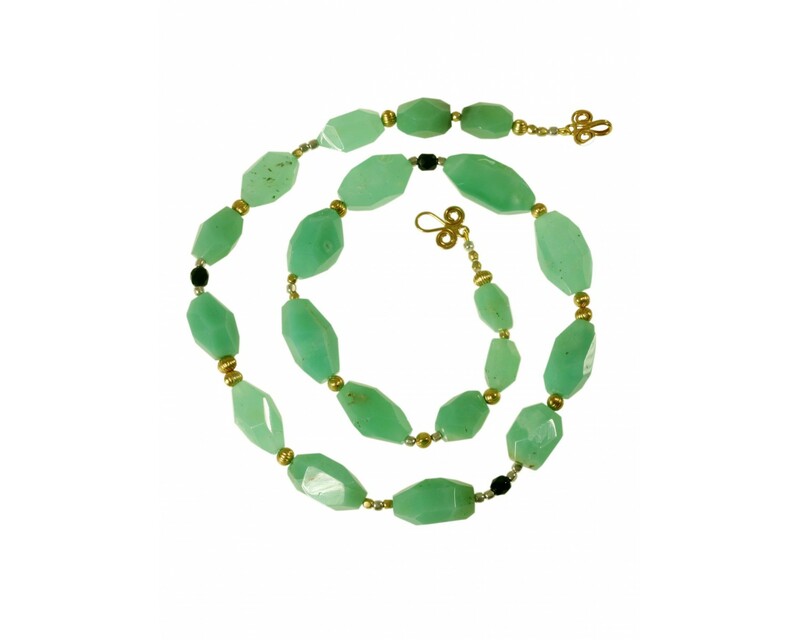 This lovely faceted green coloured chrysoprase, obsidian and a variety of 18ct yellow gold and silver beads make up a flattering collar bone length necklace. 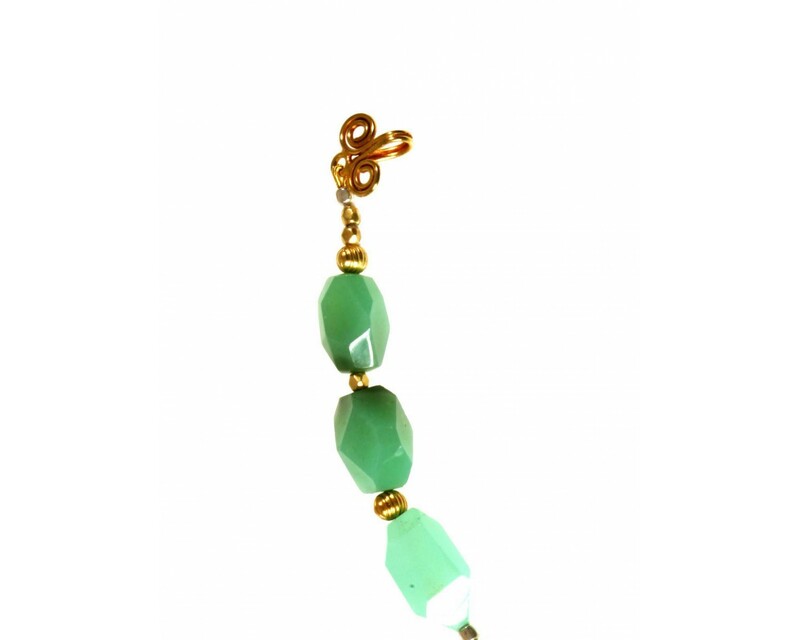 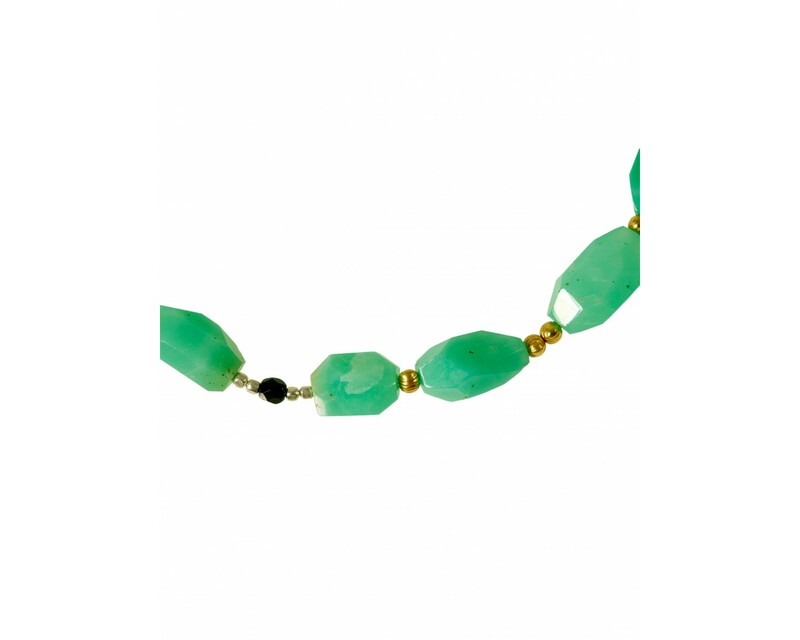 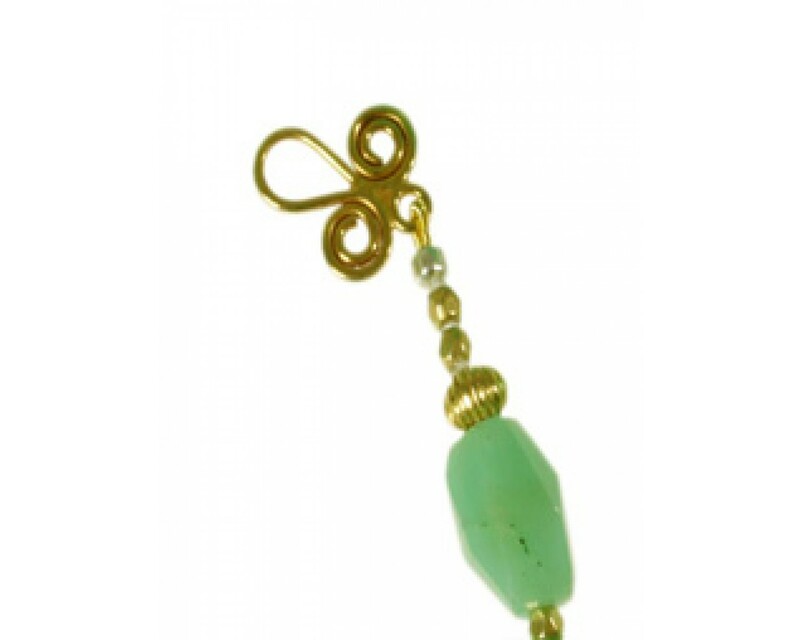 The soft faceted chrysoprase beads add a wonderful tactile dimension to what is an extremely wearable and sunny piece. 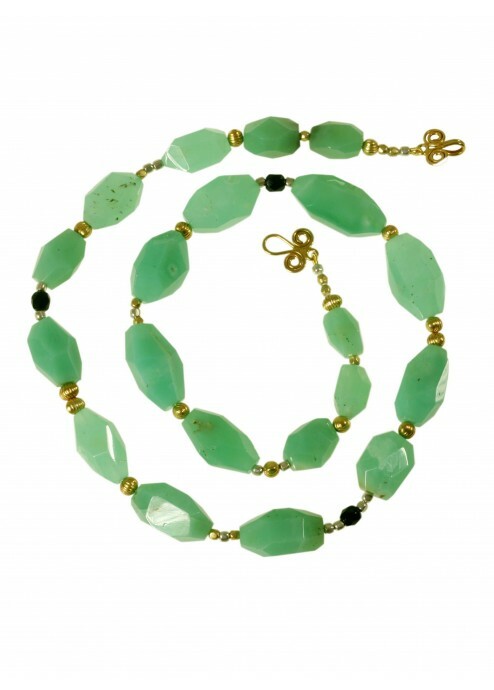 It could also be paired with the Ivy Bracelet.